The umbrella term covers a variety of transaction services that help businesses trade goods and receive payments on the web. In a fashion similar to in-store cashiers, online payment systems approve and gather payments on your checkout page, and set up channels for these payments to reach your bank account. Given that the majority of today’s shoppers prefer to buy online, payment gateways are critical to the success of any merchant. The solutions are usually hosted by a third-party provider and used as logistic mediators between the vendor and customers. In the ideal scenario, the services adopt your preferred payment method, enable and approve the exchange of payment data, and assume full responsibility over the compliance and security of your transfers. To do so, they charge a fixed percentage of each transaction; while some of them also impose a monthly subscription for monitoring and maintenance. Before we go deeper into the subject of online payment services, note that not all payment gateways will be suitable for your business. Instead, you’ll need to shortlist only the systems that fit into your line of operation, namely those designed for your location, market, targeted buyers, and preferred currencies. Do I have to work with a payment provider based in my country? How can we integrate payments with our website? Are payment gateways in fact payment processing services? Can I accept payments in various currencies? Is online payment processing secure? Can I customize a payment solution? Are my preferred online payment methods accepted? What can I do if the payment is not successful? How much time does it take to receive a payment? Can I connect the payment gateway with other systems I am using? Can I use payment gateways for in-store payments? Can I use the payment gateway for personal transactions? Does it make sense to use multiple payment gateways? Which are the leading payment gateway systems? How much does payment gateway software cost? Are there free payment gateways? How will the payment gateway help me? To help you make the right choice, we prepared this comprehensive guide on payment gateway providers where we also compared some of the best providers. Payment processing is one of the most important aspects in selling goods and services, which is why entrepreneurs should understand the options available to them. 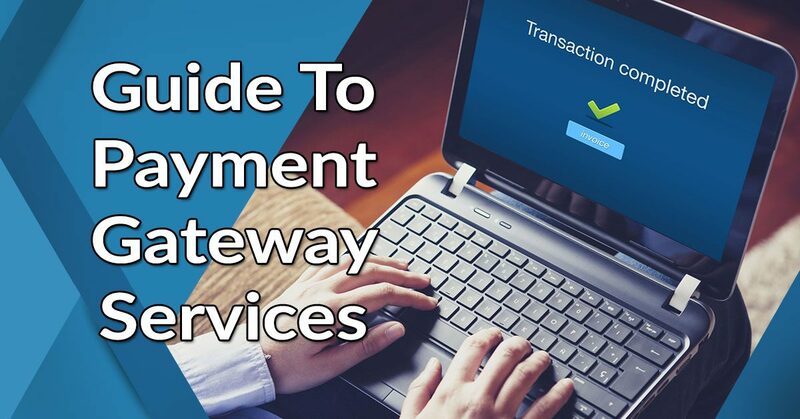 If you’re exploring the payment gateway market for the first time, the following guide will help you. All business owners need a registered merchant account to accept credit cards and collect payment. Such accounts are usually provided by their credit card processing services. Similarly, if the business owner decides to replace the platform and entrust compliance to another system, the new provider should be able to manage such an account for him. A quick reminder: the service you’re acquiring should be PCI compliant. Not necessarily, but it is still a smart decision to consider gateways that specialize in your region. To start with, you can explore the gateways used by other companies incorporated in your country, as these are the gateways that maintain the best relationships with local banks. If you are based in Europe, for instance, your best shot would be systems designed to serve the EU market, as is with Swiss-based SecurionPay. On the other hand, if you’re in the United States, you can choose among these top US-based payment gateway providers or opt for PayPal Payments Pro, arguably the best on the list. Keep in mind that location is not the only relevant factor, each payment gateway runs on a different business model, and, therefore, supports different payment methods. You may also check their reach, payout frequency, supported currencies, and, of course, pricing. The reason why businesses opt for gateways in the first place is that they want to simplify payments. A complex processing system with troublesome setup will not exactly solve this problem. Integrating payments with your website should be smooth and simple, and ideally in line with your preferred programming language and use cases. An idea could be to look for solutions with open API access, as it enables you to configure your own payment interface to adapt to your unique payment scenarios. The more flexibility you’re offered with, the better! With so much being done to expand the capabilities of payment gateways, it is really easy to confuse them for actual processing platforms. At the basic level, gateways look and perform similarly as a self-hosted processing interface, but there is a substantial difference between payment gateway vs processor. For example, with even the best payment processing services, it will be you who gather and analyze payments, and then redirect them to your account. With a gateway, on the other hand, compliance and transfer are provided by a third entity (online payment processing companies), so that you don’t worry about transfer delays or, worse, glitches. 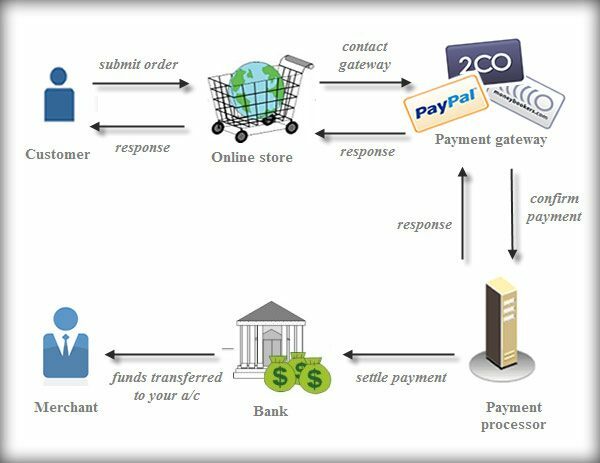 Payment gateways and payment processors have different roles in the whole gamut of customer-to-merchant transaction process. The approach of most merchants out there is to make the gateway purchase as cost-efficient as they can, including getting the free alternative where there is one. But are they right? It doesn’t take much to reveal the hidden costs of cheap software; for instance, after a week or two, you may be required to upgrade to a new plan since the current free plan doesn’t meet your needs. To avoid such situations, read some reviews and gather knowledge on the service before you subscribe to it. Note that your vendor could charge more for the specific features you need, or impose a compulsory fee for setup and maintenance. Although the price of your gateway doesn’t guarantee its quality, it has a lot to do with it. Services with a higher price tags usually invest more in security, premium navigation, and fast delivery. To expand their global reach, popular payment gateways process payments in different currencies (with or without additional fees). Some providers even offer checkout in several languages for international buyers. Multi-currency is a good idea regardless of how well your business is progressing now; you never know when you’ll need to expand to international markets. For merchants focused on a particular market, it provides great opportunities to sell products in local currencies and to attract customers in and out of their region. Our best EU solution SecurionPay, for instance, features more than 160 currencies and 23 languages to ensure smooth checkout across Europe (and beyond). Security is the most important feature of your future payment gateway system. If not handled properly, it could hinder your work and cause some serious damages to your reputation. To guarantee security (and assume liability in case your data is compromised), payment gateways adhere to several security standards and international compliance policies. These trust factors add credibility to providers to transfer funds online. So, what are these security standards and policies? The first thing to look for is PCI DSS Level I compliance (Payment Card Industry Data Security Standards). Compare the safeguards unique to each system, like machine learning fraud prevention tools, blacklisting, tokenization, anti-money laundry policies, and 3D Secure authentication, making sure that these don’t come with an additional fee attached. We’d recommend SecurionPay as the system that offers most of these features at a reasonable price: for as low as 2.95% of the payment, you’ll get a modern, non-intrusive 3D secure authentication that handles your high-risk transactions. The 3D secure feature helps to alleviate the anxiety inherent in remote or online transactions. As practice shows, transferring buyers to third-party checkout pages is a leading reason for interrupting conversions. To prevent this, businesses focus on gateways that are open for customization, even if that means paying more than the average price. Branding, unfortunately, is not that common among popular online payment gateways. Most of them are still redirecting payers to their own checkout pages, even if those are totally inconsistent with the vendor’s brand. The tweaking possibilities are limited in both front-end and back-end: merchants can’t change the codes for those pages, which means they can’t really track and control the events there. Most of the time, this results in abandoned shopping carts. Payment gateways that allow white label, on the other hand, grant merchants full HTML control, which means they can set up their own checkout scenario with custom forms. A designed payment process you can actually manage is the one that gets you the most conversions. Better yet, it influences your good reputation and makes your work seem more professional. The payment gateway you’ve chosen may not be compatible with your payment method, so make sure you check this out before you invest your money. You will find plenty of compact checkout solutions that can process different credit cards and support bank transfers, SEPA or e-wallet payments. If in Europe, you can again consider SecurionPay, a gateway that accepts a variety of cards (Visa, Visa Electron, MasterCard, Maestro, Diners, JCB, American Express), SEPA, PayPal, and Bitcoin payments. The liability of payment gateways is determined in the agreement between the merchant and the provider. These agreements involve several warranties for the merchant, and govern both: how the payment process will be managed; and how payment data will be protected. Subject to the agreement, the gateway service provider has the primary obligation to transfer funds to the merchant’s account, deducting at the same time only those fees that have been agreed upon. Depending on the matters of the agreement, the provider assumes partial to full responsibility for failed or interrupted transactions, and is supposed to reimburse the financial damage caused to the merchant. The provider, nonetheless, can’t be held liable for damage caused by third-party services. Note that certain payment gateways also offer warranties to customers, including indemnification in case of legal actions and proceedings. The duration of your transactions will depend on how much time the provider needs to gather, validate, and authorize payment data. In case your gateway requires a new merchant account, you may also need to wait for 3-4 weeks until you set it up and until you receive your first payment. The period needed for money to reach your bank account depends on a variety of factors, including foremost what has been agreed between your bank and your gateway service provider. Keep in mind that this period can be prolonged due to large amounts and geographic differences. When it comes to integrations, the first thing to check is whether your payment gateway can work with your shopping cart. If such connection is not yet provided, you should check whether you get access to developer APIs.  Gateways are usually integrated with eCommerce and POS solutions, accounting systems, and all leading web marketplaces. Yes. Some payment gateways can be used as virtual terminals and, thus, be integrated with the merchant’s POS software. It depends on whether they come with a card reader or whether they’re integrated with the buyer’s digital wallet to complete the payment without a card. Payment gateways (other than exclusive ecommerce payment gateways) will let you complete personal transactions as long as both you and the recipient (issuer) are using the same service. Yet, keep in mind that there is a nominal fee different than the one of company transactions. As a personal user without a validated corporate account, you will perhaps lack some of the premium features of these systems, as for instance, transaction statements and reporting. Setup and registration, however, will be much simpler. While it sounds troublesome to use multiple gateways at once, doing so certainly has important business advantages. For an expanding business looking to attract global customers, for instance, it can be daunting to find a single system that caters to all their needs. Working with several gateways also has a positive economic impact, as you get to compare which system generates the most conversions. At the same time, you offer customers more payment options, and you get to balance fees on diverse transactions. Answering this question is a quite an ambitious task, given that popular payment gateways cover a substantially different range of services. There are some providers popular for catering to a particular type of businesses, others for fraud prevention, and still others simply for offering the lowest fees. In short, the choice will always depend on your requirements. Gateways also have a different market share in different regions, and may be more popular in one continent than in another. PayPal, for instance, is still the leading provider in the U.S. (closely followed by Amazon Pay), while in the EU it is gradually losing ground from Europe-exclusive systems like Securion Pay. The cost of your prospective gateway can be divided in three parts: transaction fees; setup and maintenance fees; and currency exchange fees (where applicable). The maintenance fee is not necessarily present, but without it, it may indicate that the provider is not constantly monitoring your transactions. In some cases, it may release the provider from certain liabilities in case your payments fail. What is the reasonable transaction fee you should agree on? Each provider charges differently, but for most of them these fees vary between 1% and 5%, depending on the region. Next to this fee, they may charge an additional $0.20 to $2.00 for administering the transfer. The currency exchange rates are most of the time fixed. Many payment gateway providers try to attract customers with flexible pricing and freemium packages. Yet, most of those are time-limited, and will still require you to subscribe for a paid plan in order to use the service. Often, you will come across completely free payment gateways, but we strongly recommend you double-check their security provisions. A well-reputed free provider you can consider is ISGPAY by InSolutions Global. Subscribing to a reputable payment gateway service means you need not worry about installing (or developing!) a processing solution. Turn-key gateways cover a whole spectrum of important services, including screening, data approval, and the actual transferring of your money. Basically, you won’t need to invest money or time into streamlining your sales process, and the liability burden will be taken off your shoulders. Better yet, gateways do a great job at streamlining the checkout process.They give customers a variety of options on how to complete a payment, for a delightful shopping experience. 15 Popular Payment Gateway Solutions: Which One Is The Best?